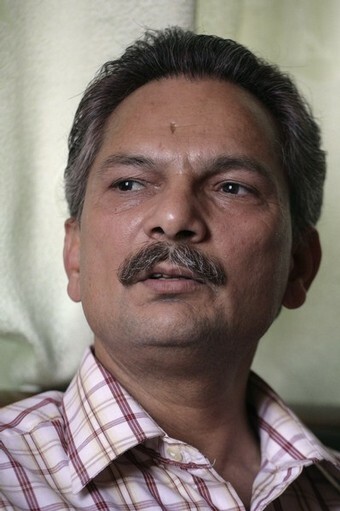 Nepal's new Prime Minister Baburam Bhattarai from the Unified Communist Party of Nepal (Maoist). Many reports are coming in confirming the electoral victory of Baburam Bhattarai, the new Prime Minister of Nepal. This particular article is from The Hindu. It is unclear what this will mean for the revolution in Nepal however we remind our readers to read this statement from the Kasama Project outlining the line struggle within the revolutionary camp. Jhargram, August 24 (ANI): The Maoist backed People’s Committee against Police Atrocities (PCPA) organisation in Jhargram district of West Bengal called for a 24-hour shutdown on Monday against the atrocities that are committed by the police on the innocent villagers and complained of apathy by state government. It was in Lodhasuli that the Maoists had called for a shutdown and around 300 tribals, who supported PCPA, attended the meeting in the area. Joydeb Mahato, a PCPA leader, said that the shutdown would also be observed on Wednesday. 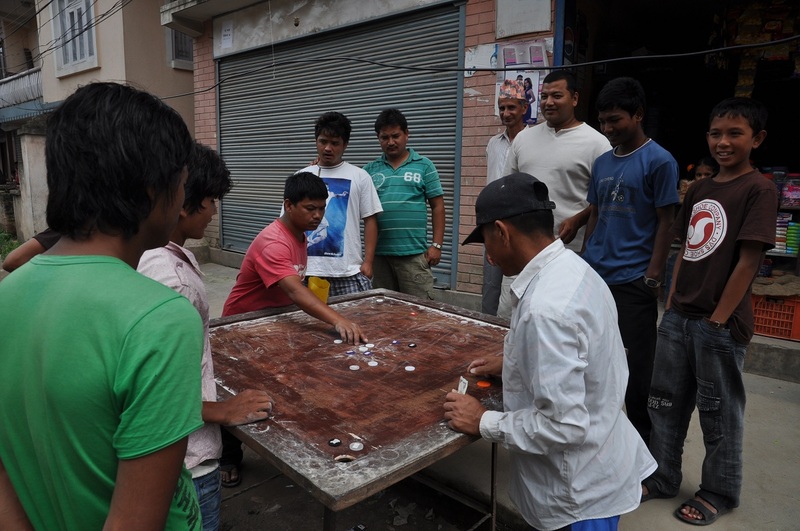 The Kasama reporting team of Winter Has Its End is now in Nepal. In their first article -New Nepal One Year Later: Still Waiting to be Born – they were able to talk to one of the peasant leaders . The following article is from The Red Star – Volume 2, Number 4. Feb. 16-28 2009. The economic problems that are being faced by the feudal and semi-feudal and semi-colonial countries in the world , is basically an agrarian problem. Nepal belongs to the same category of these countries and the main problem that Nepal has to solve in the peasant situation is the land problem. The solution of this problem is the most democratic task, which is a very difficult and painstaking task as well. The following article is from My Republica, a Nepal newspaper. It is an interview of a Nepalese student at the University of Arizona who is working on this project. 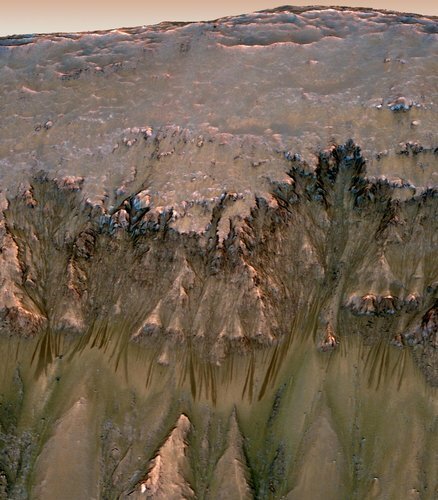 Lujendra Ojha, the Nepali undergraduate at University of Arizona who was the first to spot signs of flowing water on Mars, was interviewed by email by Republica’s Prem Dhakal. 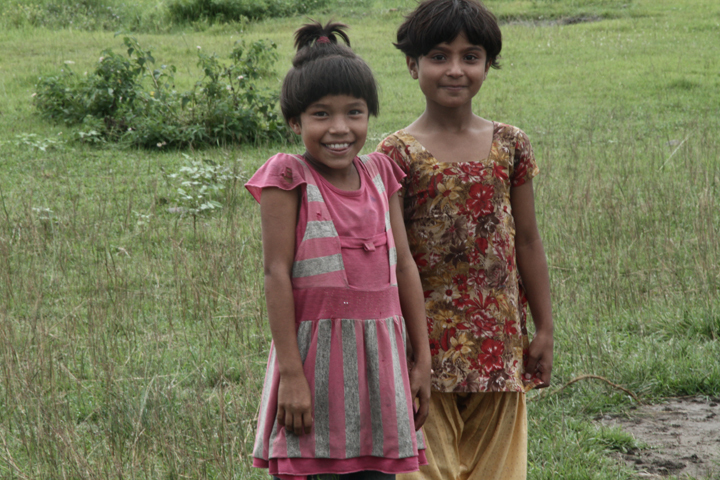 What do you remember of your early life in Nepal and how did that shape your academic ambitions? The following is from Republica. KATHMANDU, Aug 23: The Maoists have activated their joint political front — United National People’s Council (UNPC) — with CP Gajurel as its head, to mobilize the masses. The last central committee meeting of the party decided to activate the front that had been lying defunct for the past one year due to internal disputes. 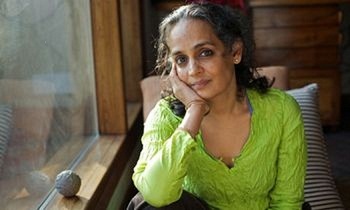 Arundhati Roy, noted author of works like the God of Small Things and Walking with the Comrades shares this opinion piece regarding the two forces working to depose the cruel Indian central government: the first a people’s army waging a liberating armed struggle movement with the support of the poorest of the poor and the other a Ghandian moralist movement led by privileged sectors. Posting here is not an endorsement of the views presented. While his means maybe Gandhian, his demands are certainly not. This article is from The Red Star, Vol. 1, Issue 2, January 1-15, 2008. In June,2011 Mike Ely and Eric Ribellarsi wrote an article for Kasama entitled Nepal’s Crossroads: Without a People’s Army, the People Have Nothing. The following article was published in Red Star newspaper in 2008. The Kasama Project printed it in January 2008. This article is from Winter Has Its End. 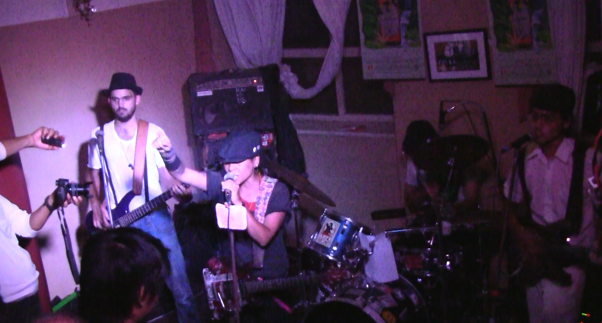 A flyer for reggae-ska-punk band Naya Faya described their politics as “anti-patriarchy, anti-hierarchical, pro-feminist, pro-women’s self-defense.” I was intrigued. How would this music be received in Nepal? How would these politics resonate in an atmosphere where revolutionary communism was already vying for power? The 1905 restaurant was a weird place for a punk show. The venue’s website ways it was once a “fine social establishment for the elite and influential. ” Queen Elizabeth II showed her face there, and even a king was coronated at 1905 back in the 60’s. Slightly less prestigious now, the place is still a palatial complex hidden from the noise and polite chaos of Kathmandu’s streets. To reach the space where the show was happening I had to walk over a quaint wooden bridge , crossing over lavish gardens and ponds with white geese. The cover charge was 200 rupees (about US $2.50) which is a steep price for the average Nepali. Outside the walls. mothers and their children beg for change. Inside, the caste and money-privileged go bowling and drink liquor. Such is the situation in this unsettled revolution. The following is a report about the radical model hospital, Janamaitri. Janamaitri is a model of a new socialist healthcare system in Nepal, and what could become possible throughout the country if the old exploiters and oppressors are overthrown. Janamaitri Hospital has a way of catching ones attention. It stands as a six-story tall glass building, one of the nicest looking buildings in all of Kathmandu. This is the second time I have visited this hospital. When I stepped into a clean marble entry-way last year, and explained I was a journalist to the reception, I could tell the receptionist had mixed emotions. Clearly, there was excitement that journalists wanted to talk about this hospital, but there was also a fear. I would later learn that this sprang from a number of attacks by right-wing press on the hospital, claiming the role that the Maoists had in initiating the hospital was a reason to suppress its ability to get funding. During my visits, I introduced to Dr. Rabindra Prasad Rajbhandari, the hospital’s Executive Officer, and the Managing Director, Krishna Sharma. Dr. Rajbhandari took a look at a rash I had free of charge. He and two other doctors laughed at me and gave me a hard time when they determined the diagnosis: lots of mosquito bites. Dr. Rajbhandari shared a great deal of information about the hospital. 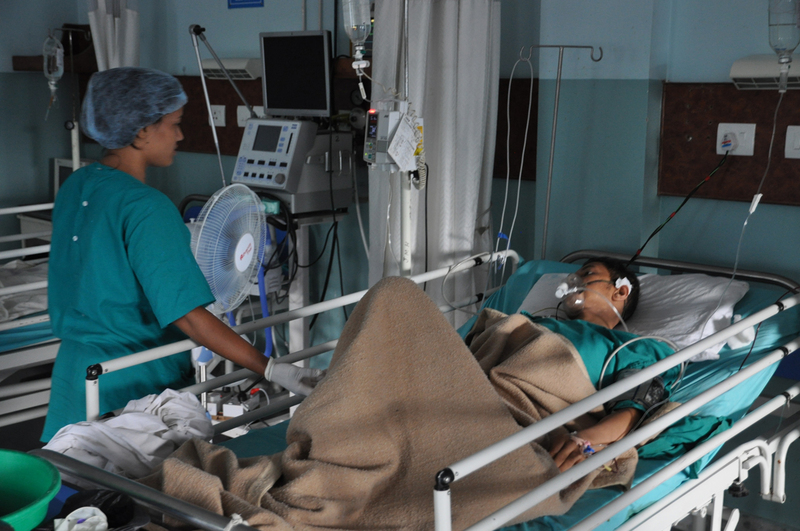 Janamaitri Hospital is Kathmandu’s first “model hospital” that views itself as the beginning of a new kind of healthcare system in Nepal. It is not associated directly with the Maoist party, but the Maoists were key in initiating it. It is free or cheap for those who cannot afford health-care and for the families of martyrs of the revolution, and bases itself off a completely non-profit model. Nepal is a classic border region – to the south lie the humid, densly populated plains of India. To the North, over the ice-peaks of the Himalayan ridge, is the Tibetan plateau, today dominated harshly and uneasily by the expansive new Chinese powerhouse. 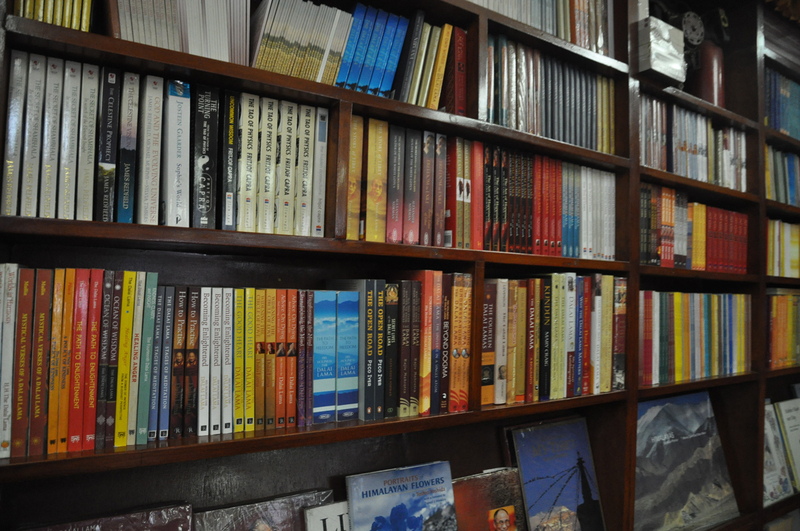 So bookstores here in Katmandu, the main city of Nepal, are entwined with geo-politics, and are often consciously implanted to influence the direction of events. For example, Tibetan bookstores are everywhere in Kathmandu. They have many purposes. First, they are there to promote the claims that the Dalai Lama (and the apparatus of Buddhists monks) have on the political future of Tibet. They are there to connect with Kathmandu’s tourist trade, and keep the issues of pre-communist Tibet before them. And they are also there as a kind of projection of power: Because the base area of the Dalai Lama’s forces is to the South, across the Nepal-India border, in India. And Tibet itself lies to the north, across the Nepal-China border. And for over fifty years now, the Lamaists have used Nepal as a forward base area – from the CIA-backed guerrilla attacks into China during the 1960s, to the monk demonstrations against the Chinese control in the 1990s. When I walked in, the bookstore was full of Buddhist works and new-age white people. Of course, most prominently featured are the works of the Dalai Lama. Two entire walls in the store are dedicated the writings of the Dalai Lama. One book is entirely dedicated to photographs of the Dalai Lama. I thought to myself that “the Dalai Lama’s cult of personality is large enough to make Stalin blush.” And that brought up the strange and ironic contradictions within Western “pro-Tibetan” sympathies: Liberals, who would never tolerate a conservative religious government in their country for a second, actively support elevating medieval monks to power in Tibet. People who have few illusions of what theocracy would mean in their countries (or Iran!) freely fantasize that renewed theocracy would be heavenly in Tibet. 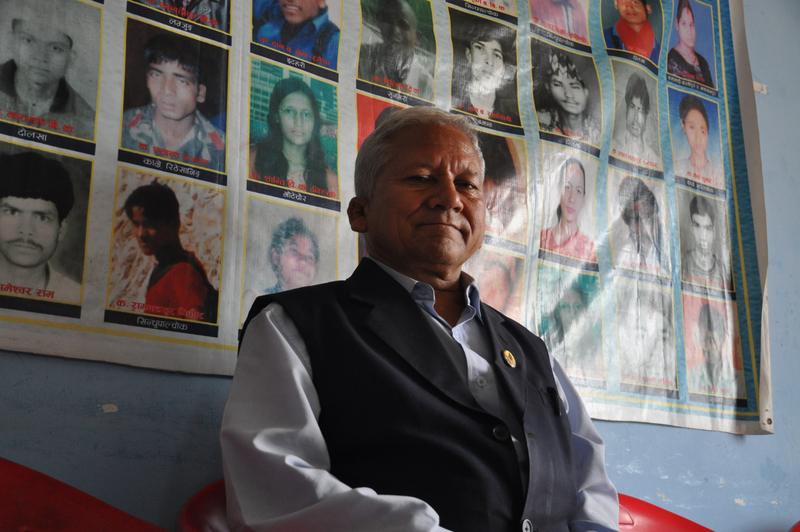 The following is an interview with Tilak Pariyar, Chairman of the Dalit National Liberation Front of Nepal, an organization associated with the Unified Communist Party of Nepal (Maoist). We are also attaching the 31 demands of DLF, which were delivered to the interim government in 2007. 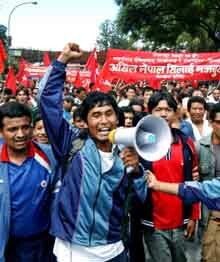 They give a sennse of the concrete steps that the Maoists plan to take to end the oppression of Dalit people in a New Nepal. ER: Can you start by explaining what it means to be a Dalit in Nepal? Dalits are a community within the Hindu religion, based off of the caste system. The caste system was brought here by India, and it has been spread all over the South Asian countries. People have been divided up into castes. The laboring classes have been treated as lower class people. Laboring people have been called “untouchables.” It means that if you touch a laboring person, you will become impure. This system was adopted by the government , as well, which created all of these laws based off of the caste system. And this has been continuing in our society for about 3000 years. The laboring people are forgotten by this system. For this reason the Dalits have gathered in one party, the Maoist Party, the one party that wants to change the society. Amidst a great deal of uncertainty, the Prime Minister of Nepal, Khanal, has resigned. Khanal became Prime Minister after Nepal was unable to select a Prime Minister for over 7 months. Many different roads are now being posed. Some are calling for the formation of a “consensus government” (meaning consensus with Indian and U.S. intervention) and the consolidation of a bourgeois republic, with everything that would mean. Forces among the Nepali Congress party and the UML (Nepal’s reactionary bourgeois parties) are moving for a majority government that would dissolve the Constituent Assembly and revert to Nepal’s 1990 constitution. A line struggle among the Maoists over what road to take, including the possibility of an insurectionary road aimed at revolution, is continuing to sharpen. 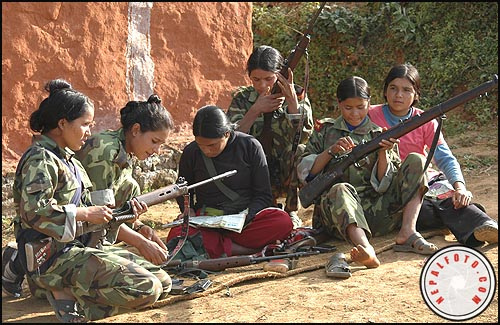 Thanks to Naxalite Maoist India blog for sharing this video depicting remarkable photos of the Naxalite struggle to the music of the Asian Dub Foundation and their song ‘Naxalite’. The following came from Winter Has Its End site. We highly recommend this site to our readers. The following memories came from a young Maoist student, Abhik. 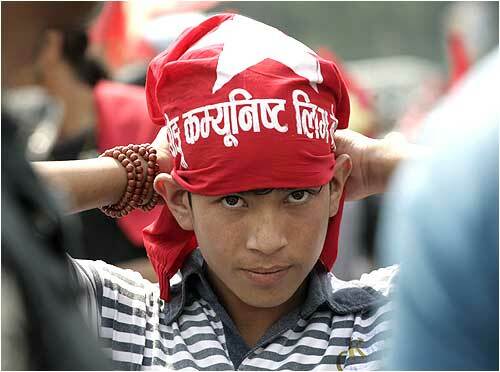 Abhik rebelled against his father and his whole upbringing to rush off and join the Maoist revolution. This is his story. Special thanks to Thomas Van Beersum and Krishna Tamu for this report. The people’s war has achieved great accomplishments, but it also has seen many comrades who have become martyrs in their heroic struggle. The Martyrs Memorial School was established to give education to the children of the people who have given their bodies for the sake of the nation, and the ones who have become disappeared, injured and disabled during the people’s war.